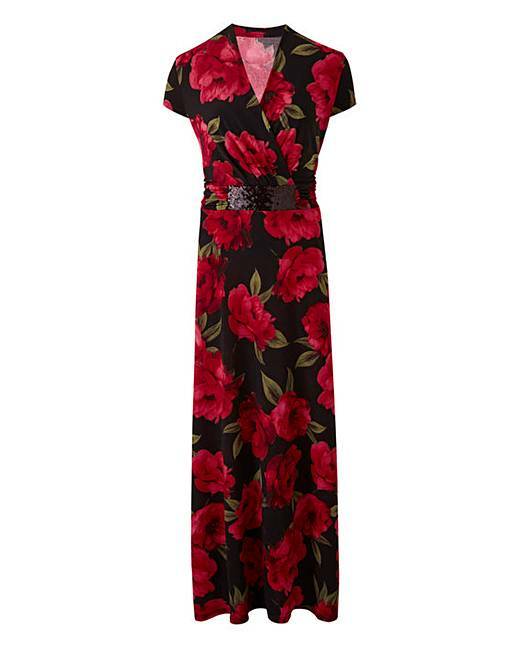 Nightingales Print Jersey Maxi Dress is rated 3.7 out of 5 by 6. Exclusive to us - Nightingales. 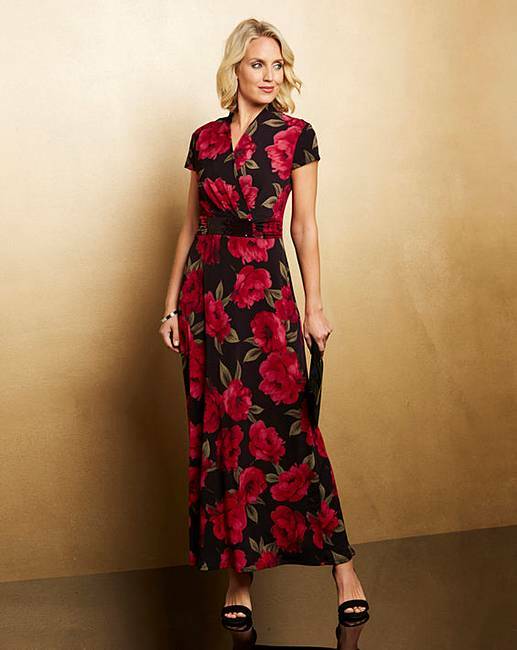 A luxurious stretch jersey print maxi dress in a stunning autumnal print with a mock wrap detail and gather waistband with sequin detail. Stretch fabric for your comfort and fit. Rated 5 out of 5 by Miffie from Beautiful dress This dress is so flattering on my curvy figure. Love it. Would have preferred three quarter sleeves. Colours beautiful all in all a lovely dress. Rated 3 out of 5 by Sonny from Nice dress I liked the style of this dress and the length was good. i did not like the bit at the waste band and was hoping i could remove it, but returned the dress as the waste band would have been difficult to remove.